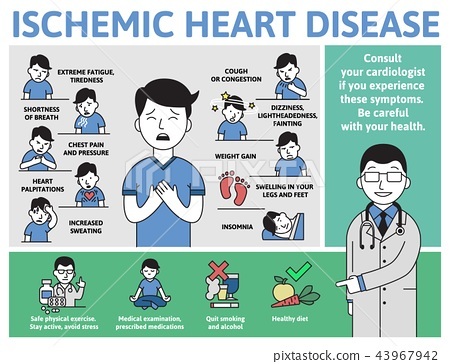 Ischemic Heart Disease infographics. Signs, symptoms, treatment. Information poster with text and character. Flat vector illustration, horizontal on white background.